* Total number of reviews and star-ratings are based on data collected during the time period Masters Heating & Cooling - Decatur has been using the ReviewBuzz system and may not directly match the data found on each public review site. Terry Teboe is very proficient as a technician, but it's his warm and upbeat personality that makes him a joy to have in and out of my home spring and fall for regular maintenance. He is one of Master's greatest assets! Quick response when called and very persistent in finding our problem. Very professional. Fast response. Persistent in finding problems. Terry was very prompt, nice and efficient as all of your technicians have been when working on our furnace and air conditioner. We couldn't ask for better service! Terry was very helpful and professional while replacing the defective thermostat for our furnace. Matter of fact all the employee's at Masters have been very nice and professional! Masters came quickly and Terry very informative fixed problem and very professional Thanks can always rely on Masters. As usual , Terry did a great job of checking out our furnace for our winter check up. He does great work! Terry is friendly, efficient, and is honest about needs of my furnace. Promptly on time and courteous to customer. I would prefer him everytime. Thanks Terry and Masters. We always ask for Terry T. He is always prompt on getting here and extremely efficient in his work. Terry is the best! Thanks for the repair. He was very helpful and was able to help us over the phone. He told us to shut down the furnace, wait about 30 sec. and restart, and that fixed it. Thanks for the help. Service was very professional and prompt. Great Job Terry T. Would recommend Masters Heating and Terry!!! I have nothing but trouble with this furnace since they installed it and then on top of all the problems they charge to look at it. If Id known the problems I would have Id left my old one in, at least I didn't have problems with it. Terry continues to be a courteous and friendly service technician when he performs maintenance on our furnace/AC unit! Terry always does a great job when he comes to do our AC/furnace maintenance checks! He is courteous, personable, and answers any questions that we may have. We are pleased with his service! 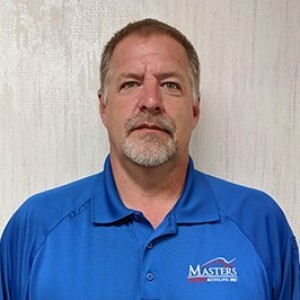 Masters Heating Cooling - Decatur Team . 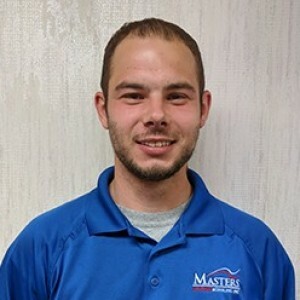 Customer service is always a top priority at Masters Heating & Cooling - Decatur. Our BBB Membership rating is like a badge of honor as we continuously strive to provide the best experience for our clients.